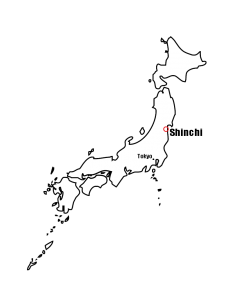 In March 2011, the 9.0 magnitude earthquake that struck 70 km (43 mi) off the eastern coast of Japan triggered massive tsunami waves of up to 40.5 m (133 ft) high that traveled up to 10 km (6 mi) inland in places. The small town of Shinchi in Fukushima Prefecture was devastated by the tsunami. Half of the town, 577 homes, were destroyed or swept out to sea and 116 residents were killed. 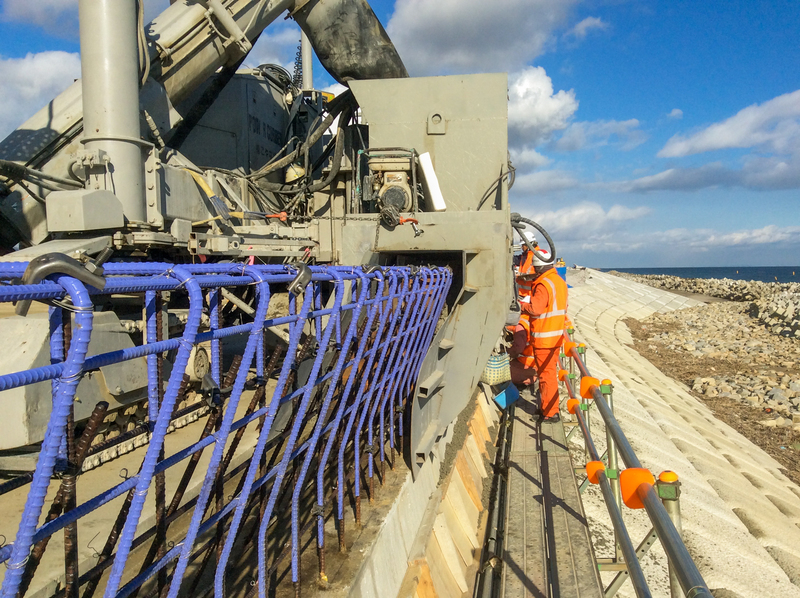 To protect the town against future flooding disasters, a large seawall is being built along the coast in Shinchi. Koyanagawa Company Limited, a longtime Power Curber customer, used their 5700-C-MAX to pour the unique profile using the Topcon Millimeter GPS stringless machine controls. This stage of the Shinchi reconstruction project consists of a 480 meter (1,575 ft) length of wall, 1.1 meters (3 ft 7 in) high, located 40 feet (12 m) above sea level. 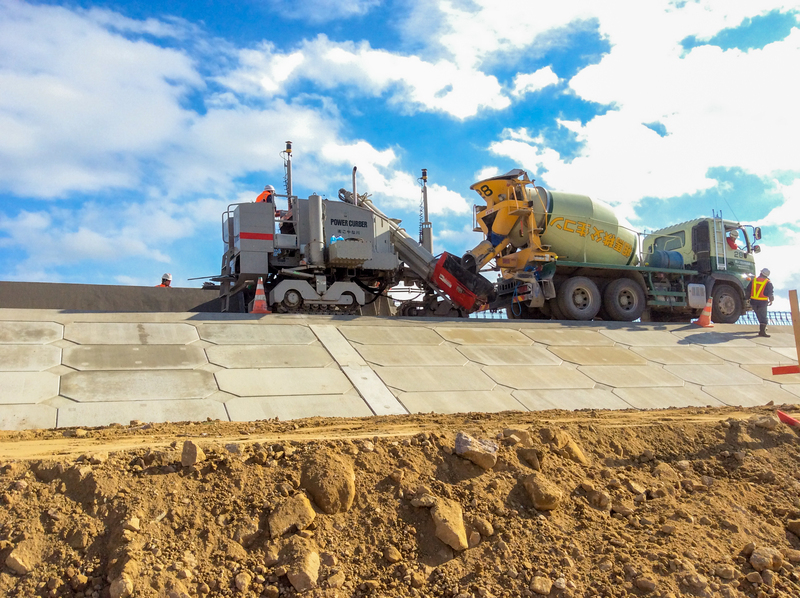 The main contractor on the project poured the concrete base and laid concrete slabs on the angled sides of the base. Koyanagawa’s crew then poured the sloped seawall over a curved steel cage. 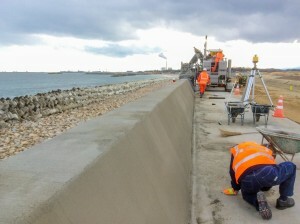 The inverted slope of the seaward face of the structure combined with its placement above sea levels will help prevent large waves from cresting over the top of the wall. 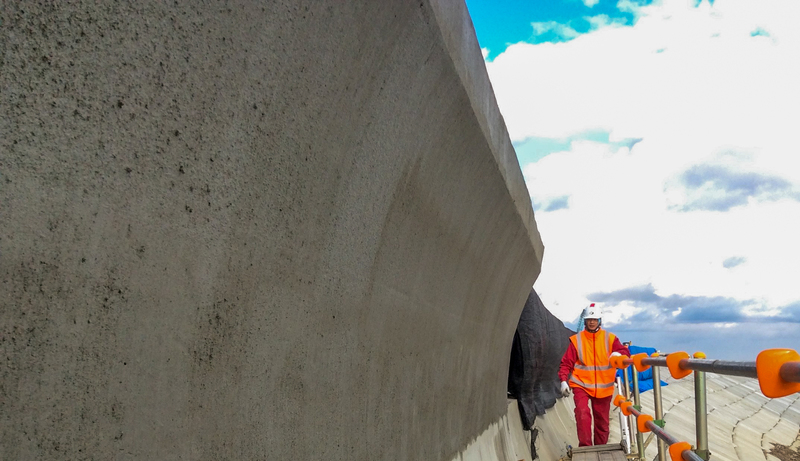 The Koyanagawa crew used a proprietary method to ensure that the integrity of the extreme slope was maintained immediately after slipforming. 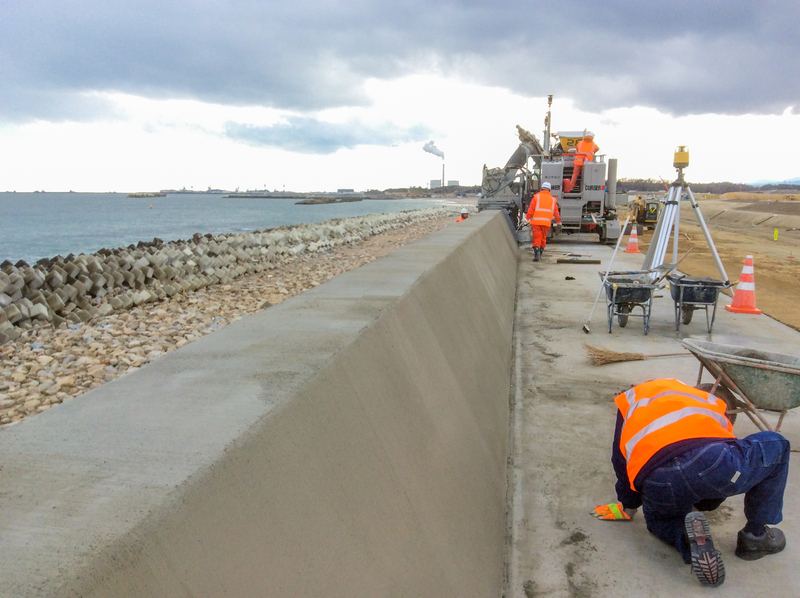 Later phases of the project will include additional protective seawalls as housing in the area is rebuilt.